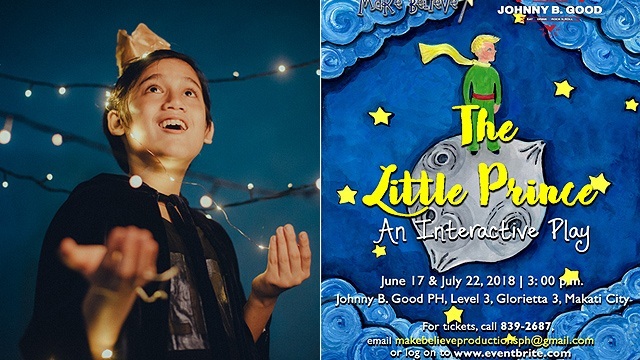 The Little Prince: An Interactive Play includes original and heartwarming songs by singer-songwriter Pipo Lina. It breaks the fourth wall, letting audience members join the scenes onstage and create a once-in-a-lifetime experience of the much-loved book. This production stars Lukas Magallano, grand winner of the 2012 reality talent show Promil Preschool i-Shine Talent Camp on ABS-CBN, as the Little Prince; and Alejandro Rivera and Jon Philippe Go in the role of the Pilot.